His Excellency Prime Minister, Commander-in-Chief of the Armed Forces Dr. Haidar Al-Abadi has inaugurates the Amiriat Al-Sumud's Police Station. During his Excellency speech at the opining ceremony of the Directorate, He has commended the steadfastness of the Amiriat's people and tribes in the face of Daesh terrorist's gang's attacks which terrorists tried to destabilizing the city by using artillery and attacks. His Excellency has added that the heroic Iraqis did achieve the victory and they did not surrender, we have now the second victory is the victory of rebuilding, construction, investment and jobs creation .it is just as we did achieve in our unity the military victory we will achieve unity of victory rebuilding. 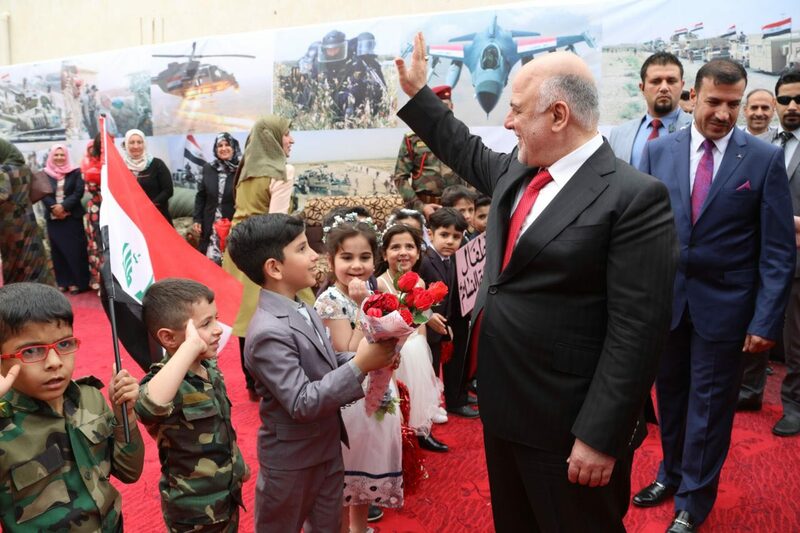 Dr. Haider Al-Abadi has said that the second victory is a corruption's challenge, corruption is the brother of Daesh, we will achieve triumph over it as we have did won over Daesh.